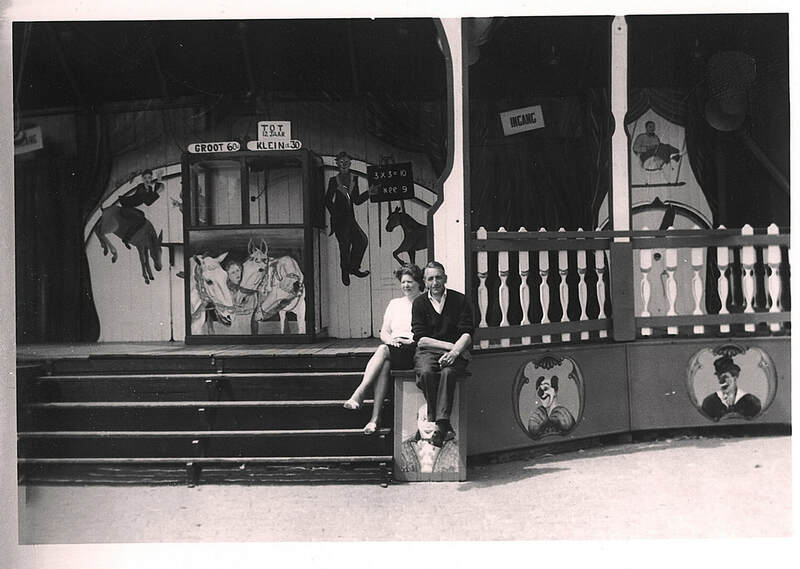 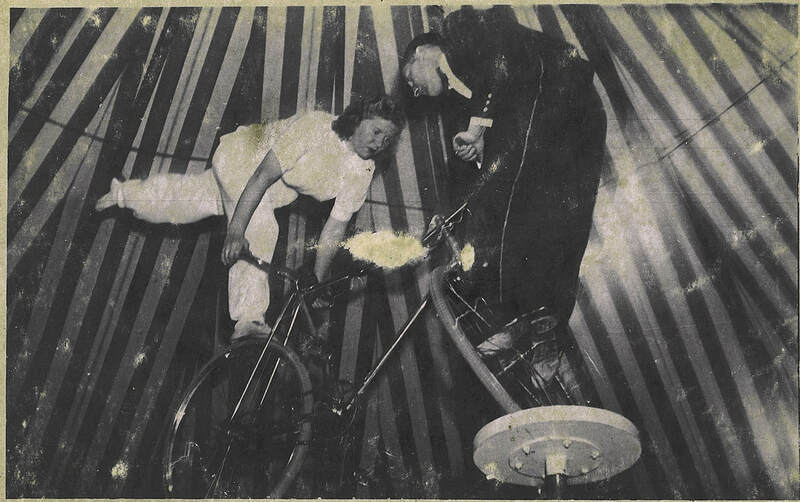 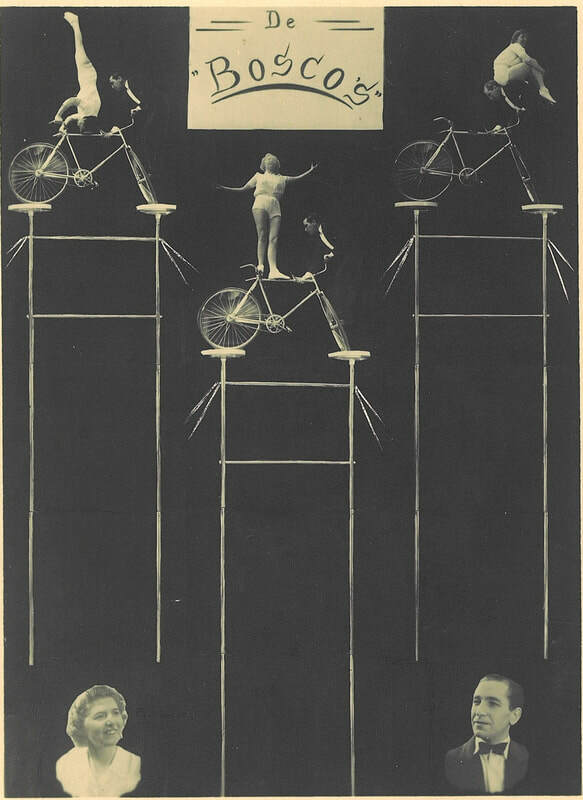 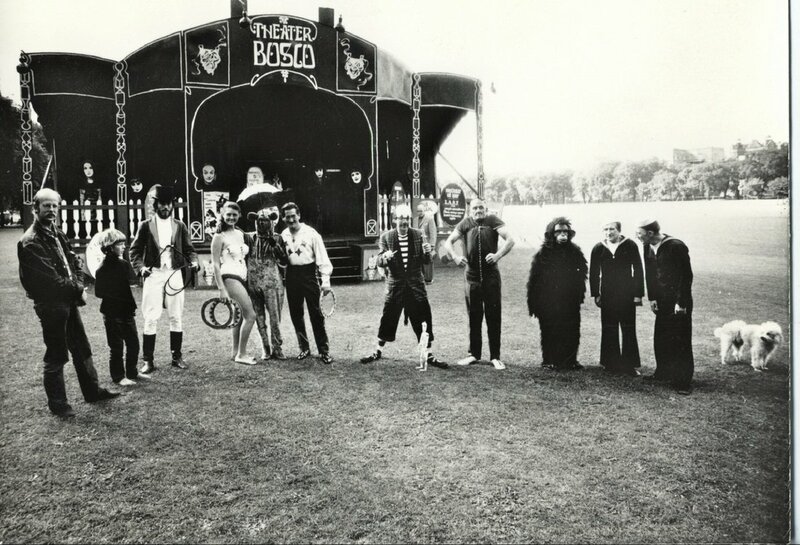 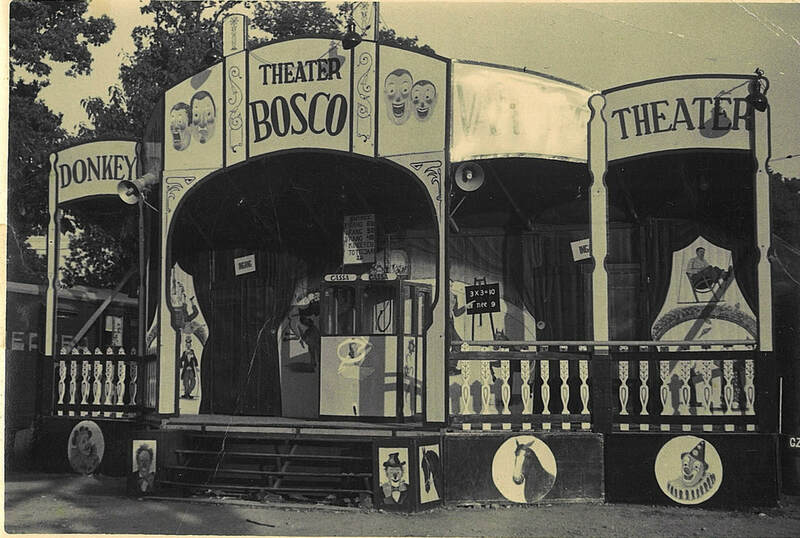 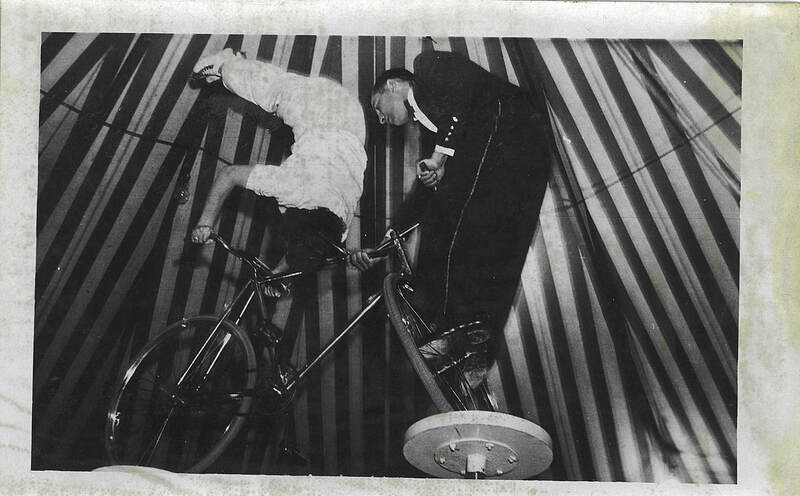 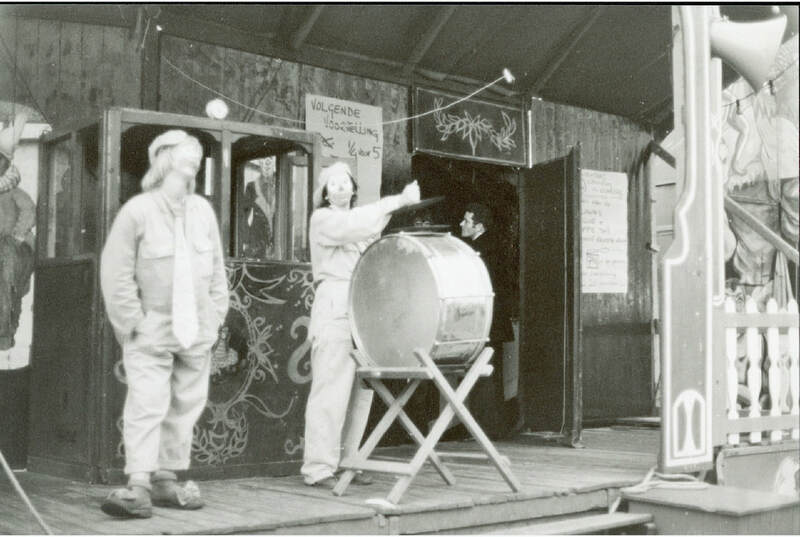 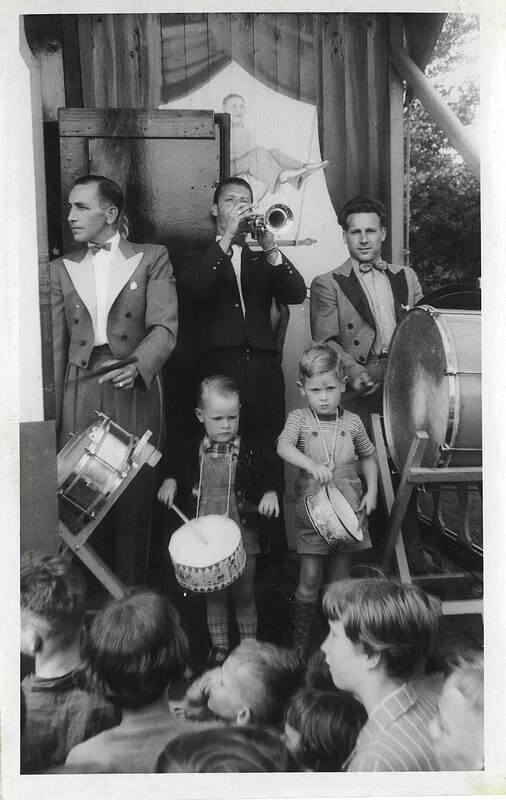 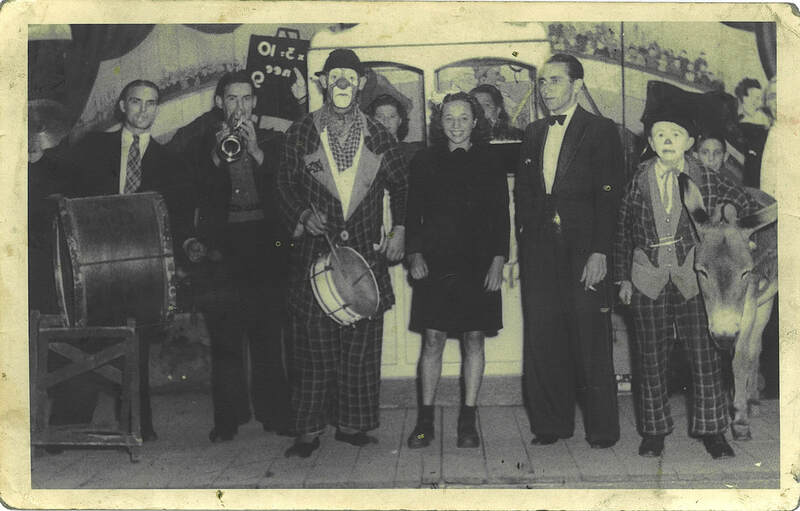 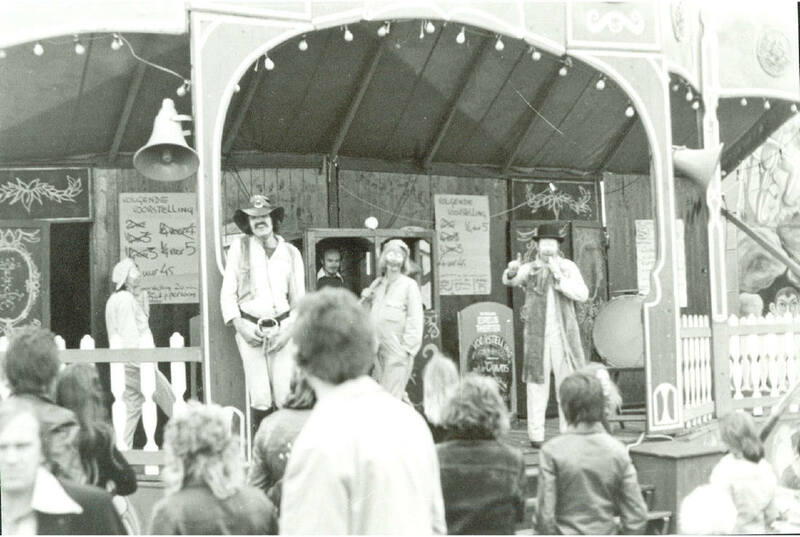 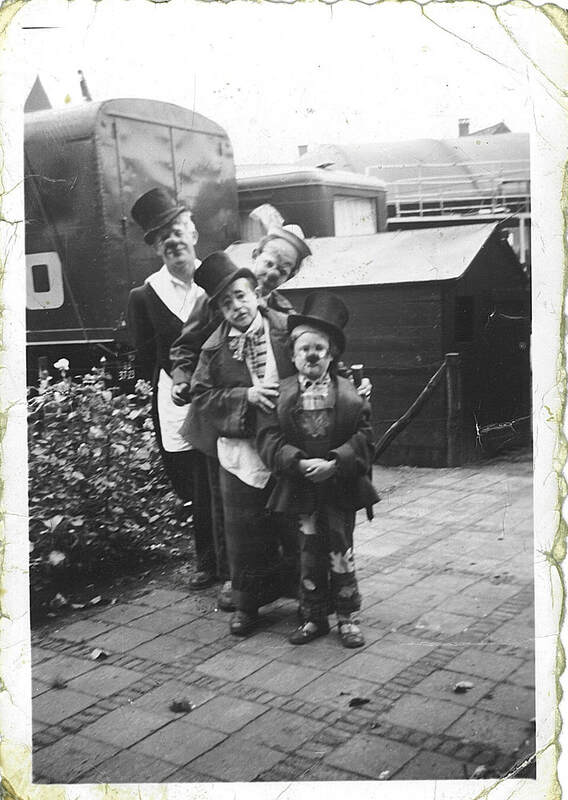 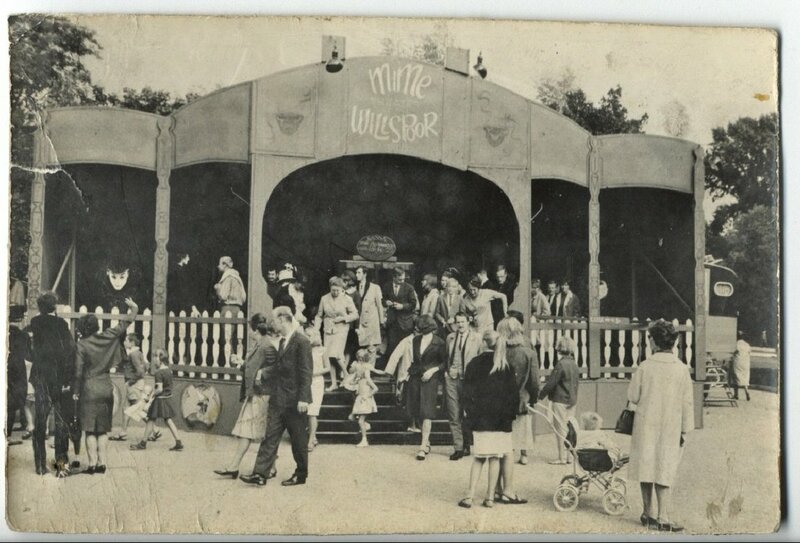 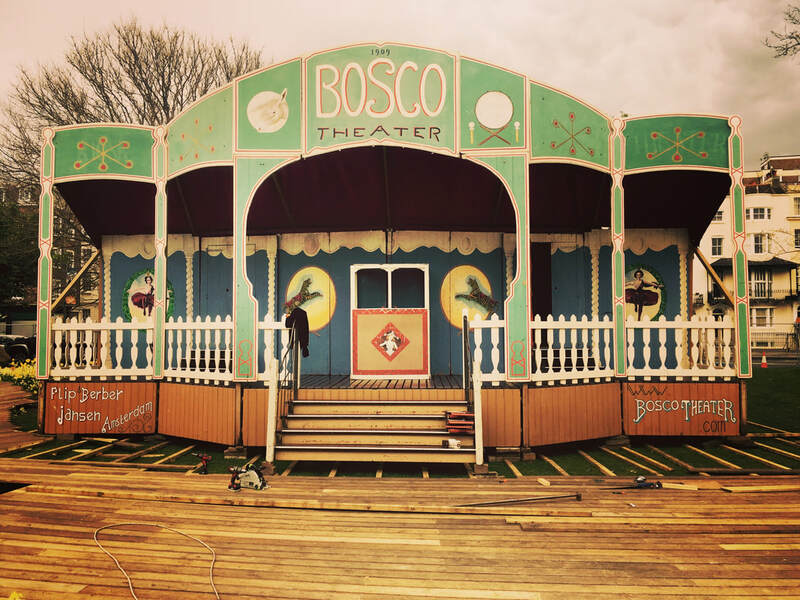 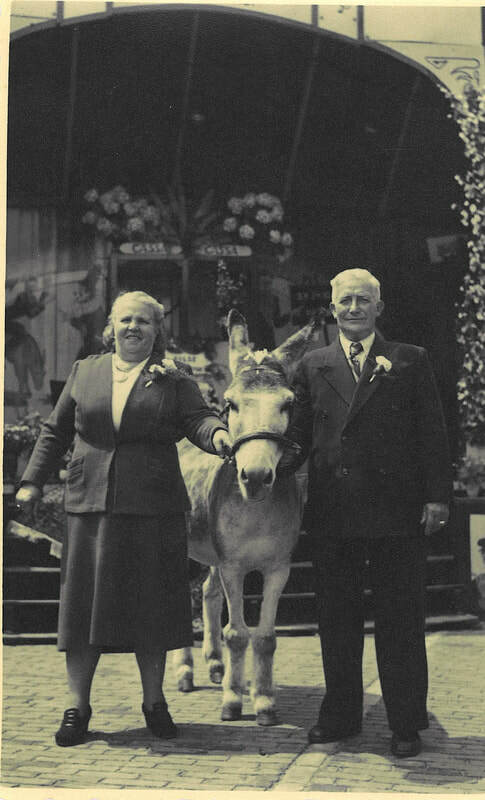 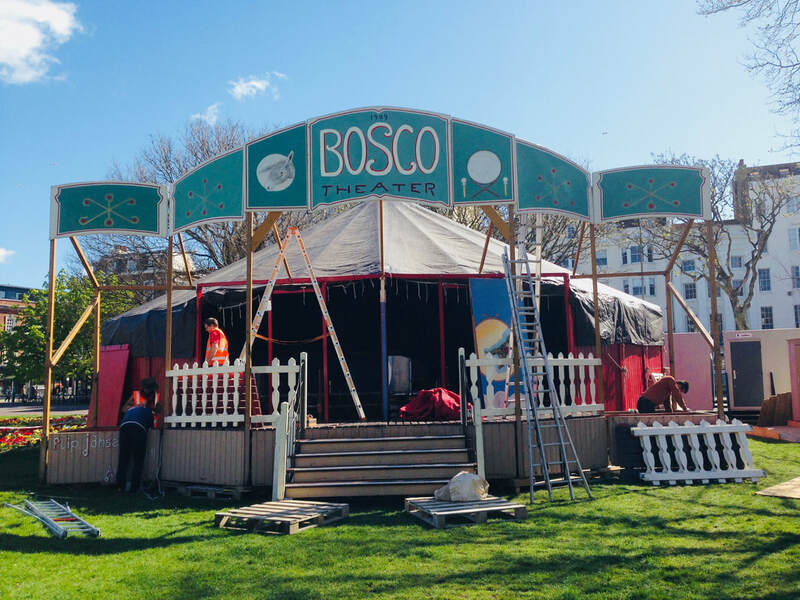 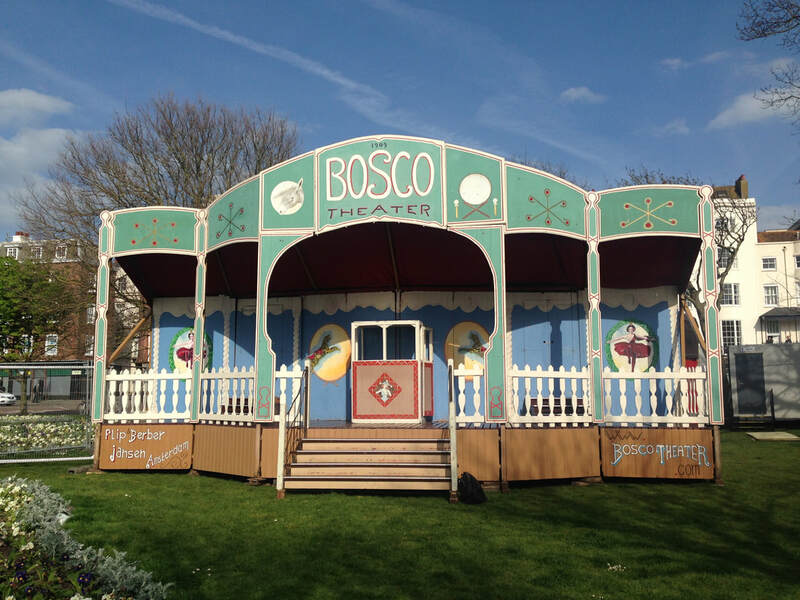 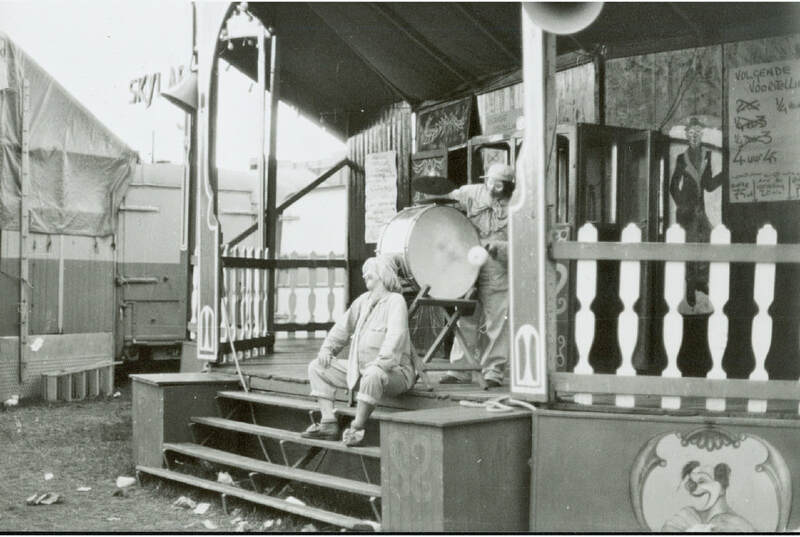 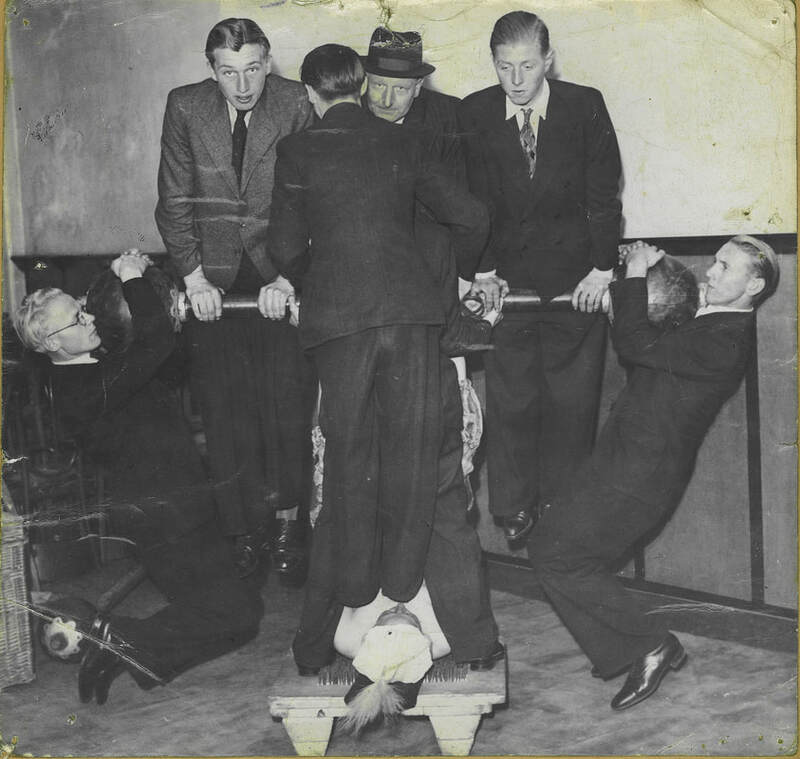 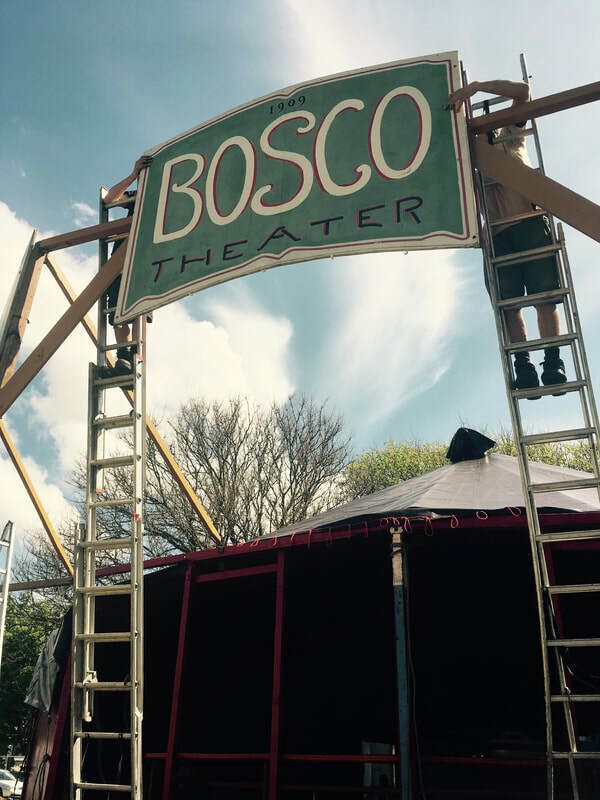 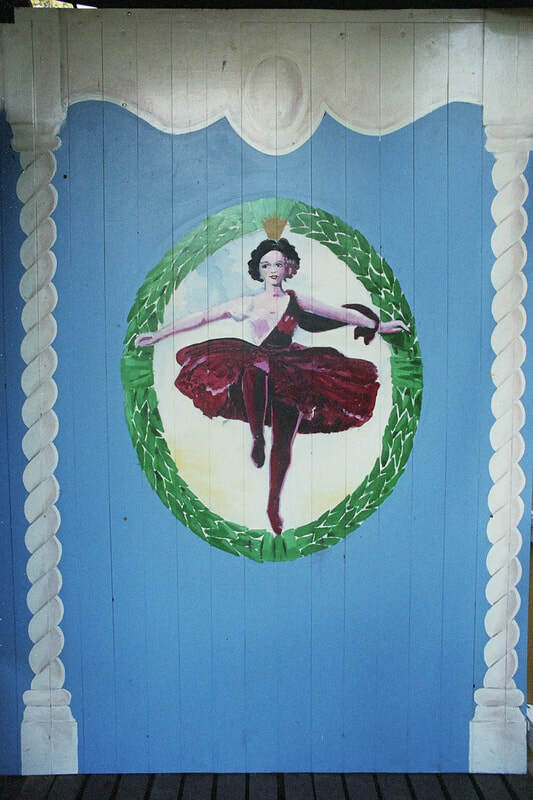 The Bosco Theatre is an original Dutch "kermis"-tent and was built in 1909. 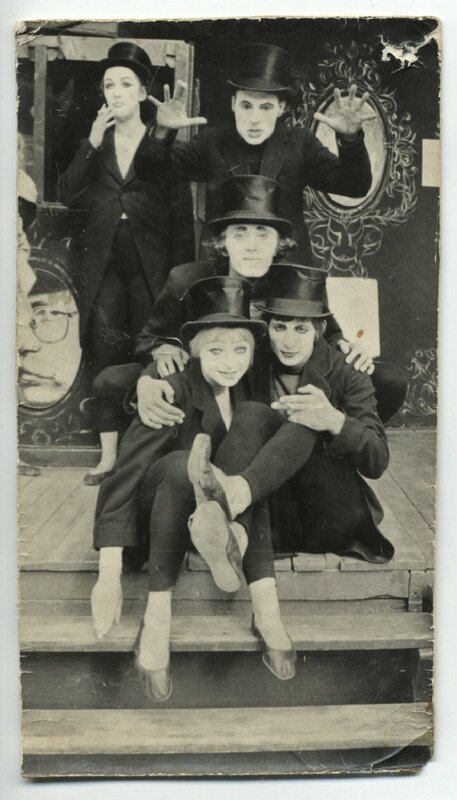 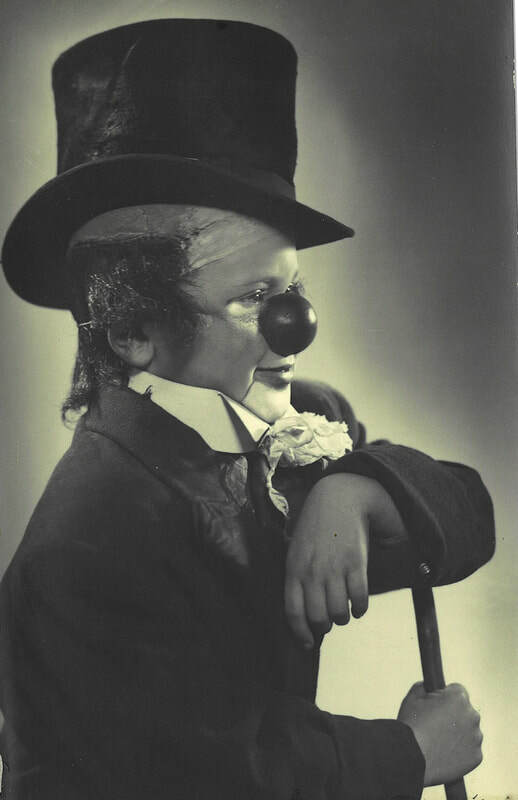 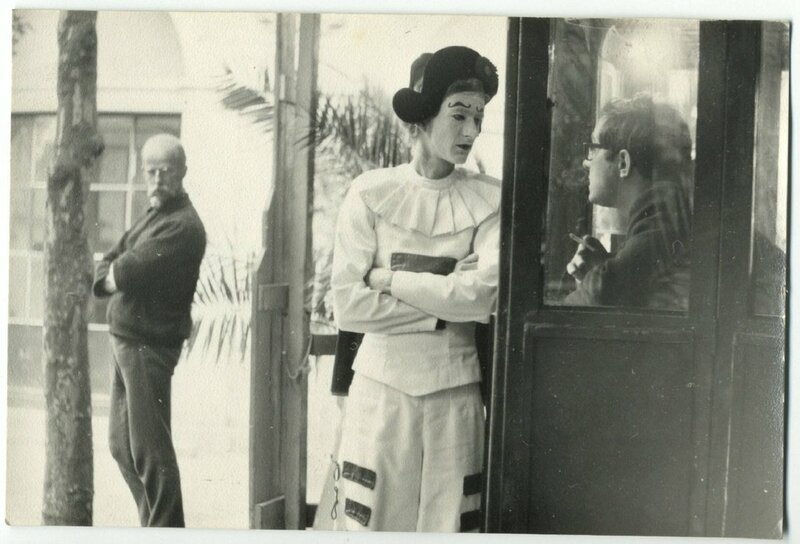 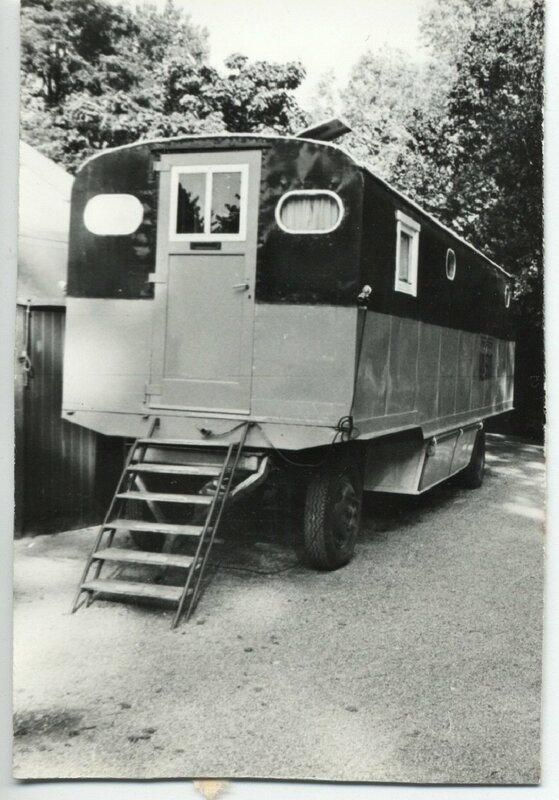 She was owned by the Ophof family who travelled with the tent and used her for their performances. 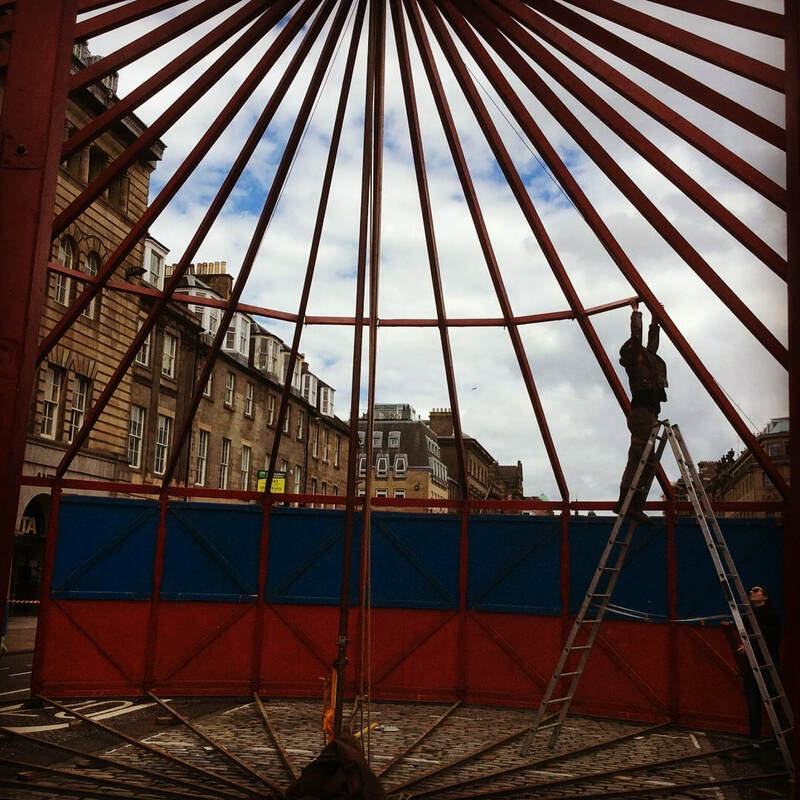 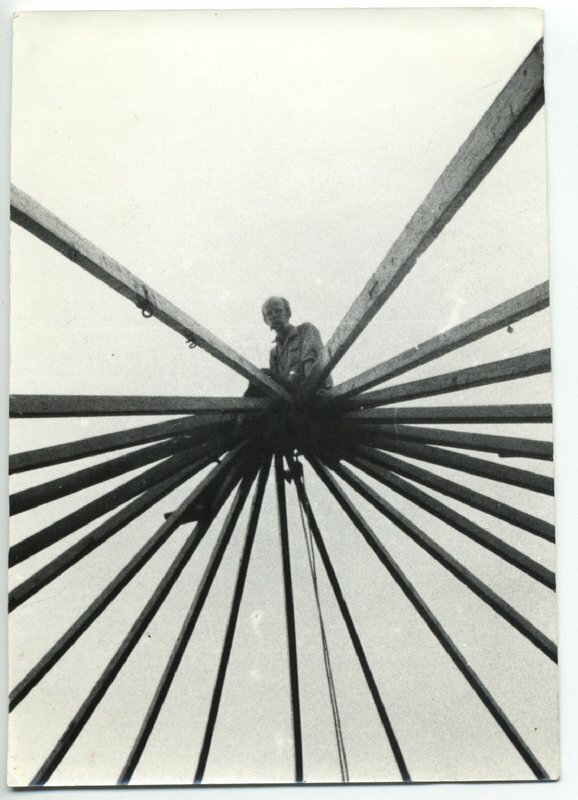 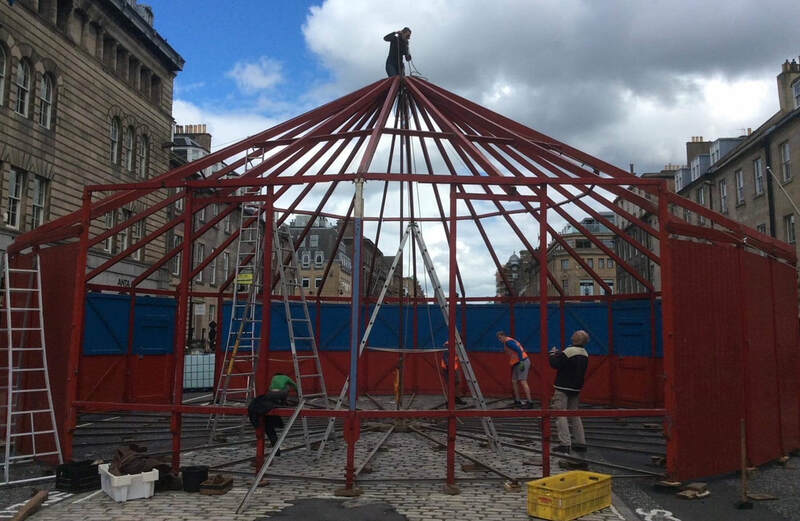 The tent has a round structure with a beautiful old front and is made of mainly wood and has a canvas roof. 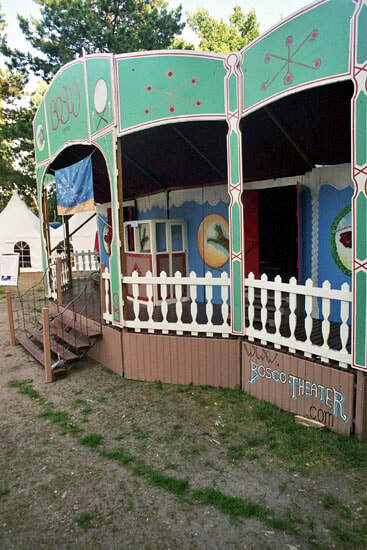 The front of the tent is a veranda you enter by a wide wooden stairway. 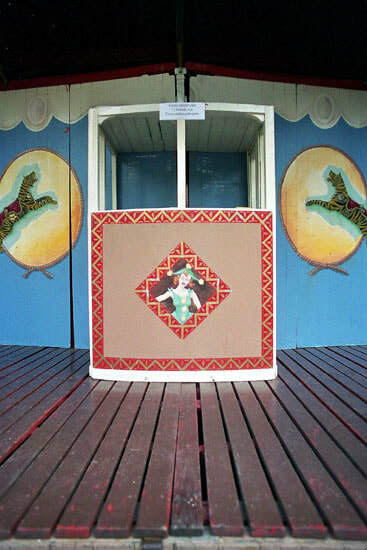 On this veranda we find the box office and the two entrances into the actual theatre. 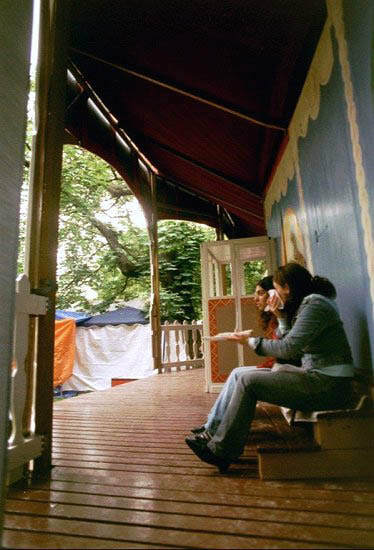 Entering the heart of the tent is a special experience. 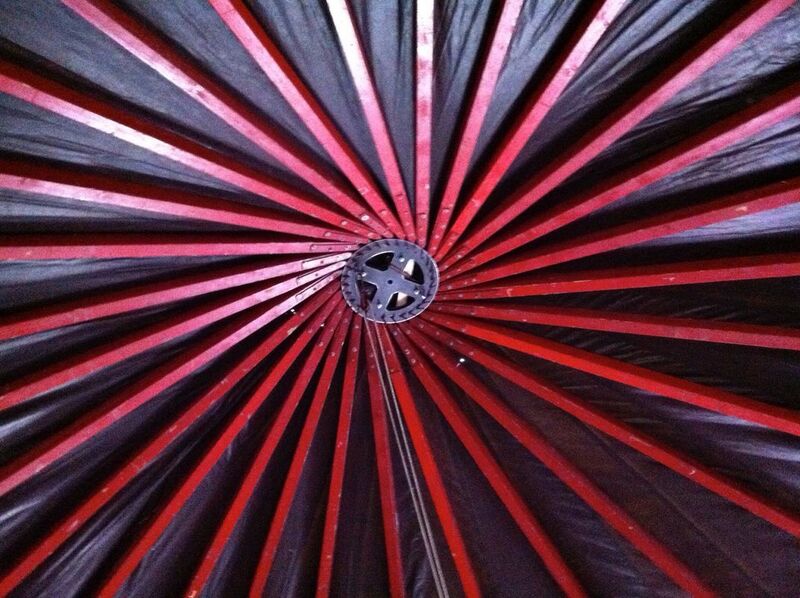 It is a darkened space in brown and red. 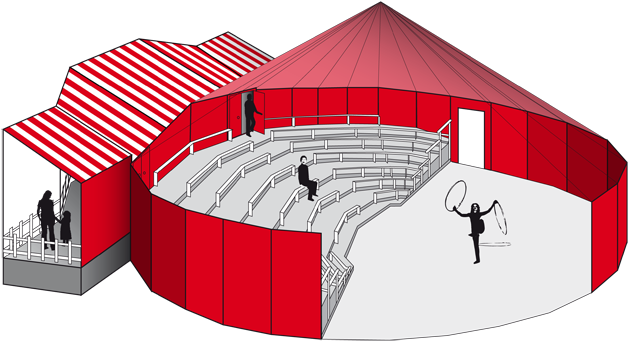 The tribune has 7 levels and is in the shape of a half moon that holds about 185 adults. 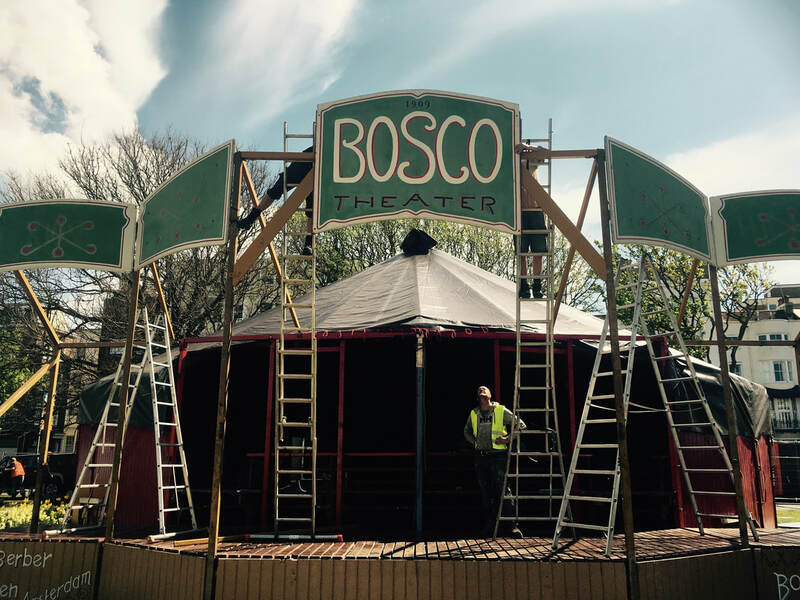 The Bosco combines great intimacy with a cost-effectifve capacity for audience. 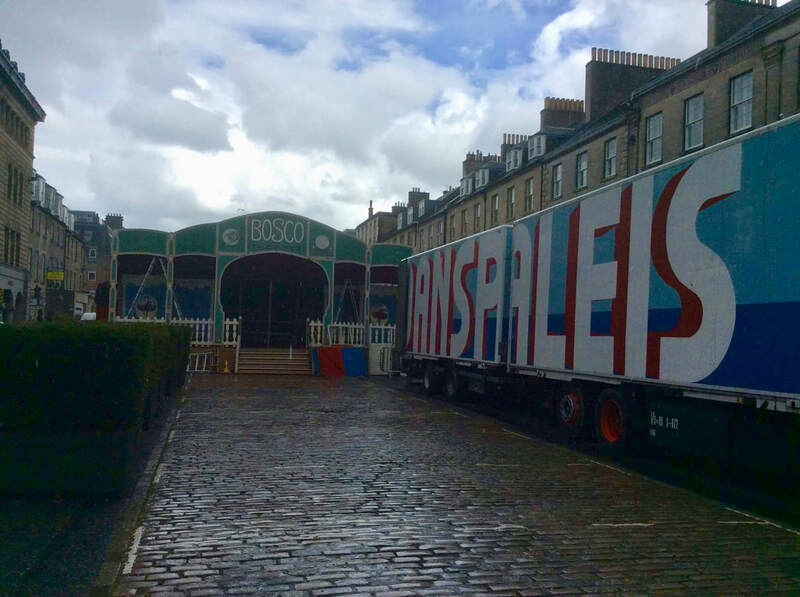 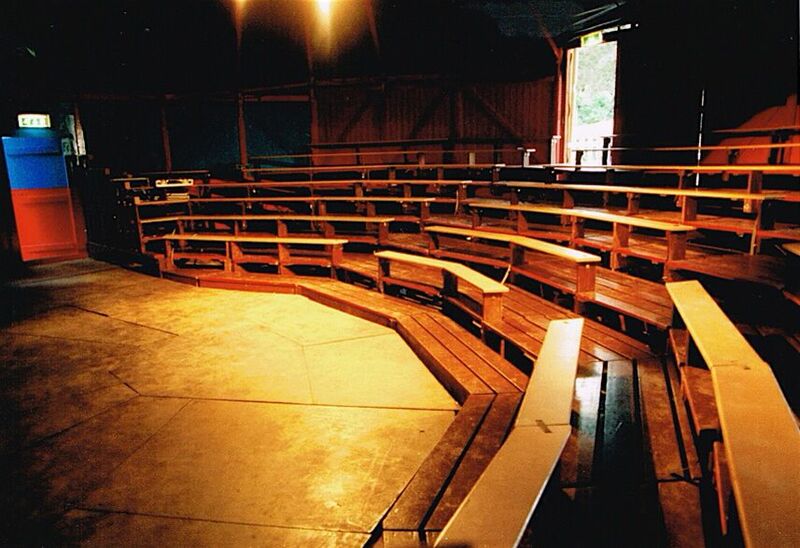 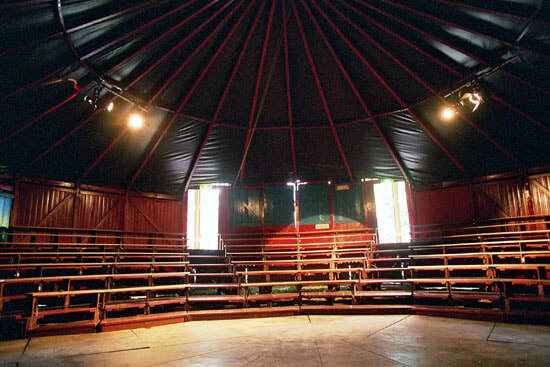 The tent maintains a very fine setting for various forms of theatre, musicals and even film. 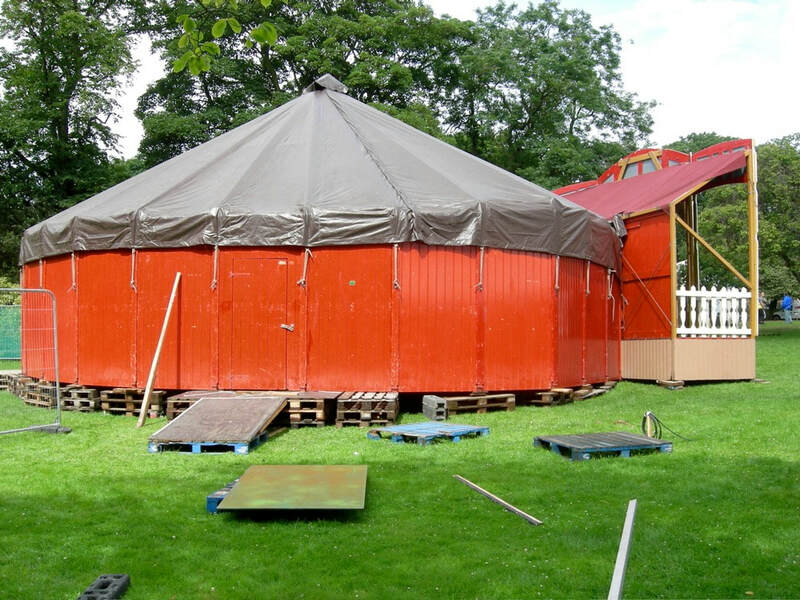 The tent is transported in a truck or on a 40 ft. container.